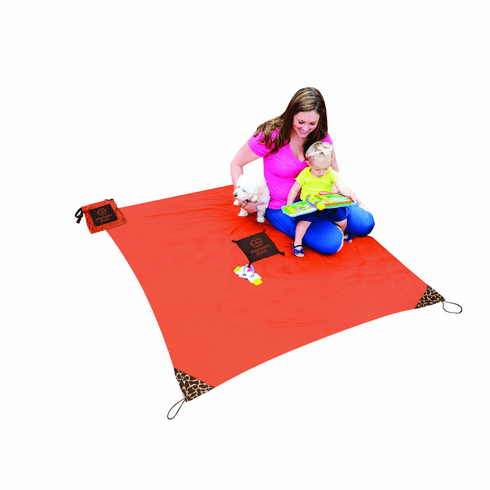 The Monkey Mat is a clean, portable surface you can take everywhere! This is a 5' x 5' lightweight mat in an attached ultra-compact pouch. Each piece is machine washable, water repellant, has corner weights & loops for grounding, and tabs for toys/keys. This blanket is perfect for: kids, travel, picnics, concerts, sporting events, beach, baby shower gift & more!